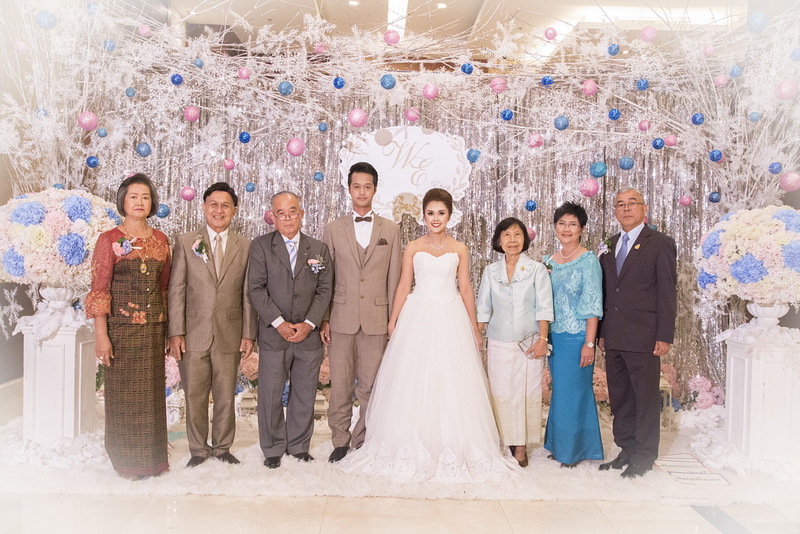 Mr. Nipon Boonyapataro, Former Deputy Secretary - General to the Prime Minister for Political Affairs, recently presided over the wedding celebration of Miss Samanya Chumprayoon and Mr. Sermsumit Wattanasan at Pavilion Convention Hall of The Grand Fourwings Convention Hotel. 1. Mr. Saemsumit Wattanasan was standing in the middle left hand side. วันที่ 27 พฤษภาคม 2559 เวลา 15:52 น.